Dubrovnik seems to get all the attention for where to visit these days, but the islands south of Split are a cyclist’s paradise. Quiet roads, jaw-dropping views, scenic ferries, and sparkling coastal towns all add up to a memorable visit. The biggest challenge is just determining which islands are accessible in the early season. We boarded a ferry from Ploce to the north shore of a large peninsula, then cycled up and over to the other side to a bunch of seafront campgrounds. 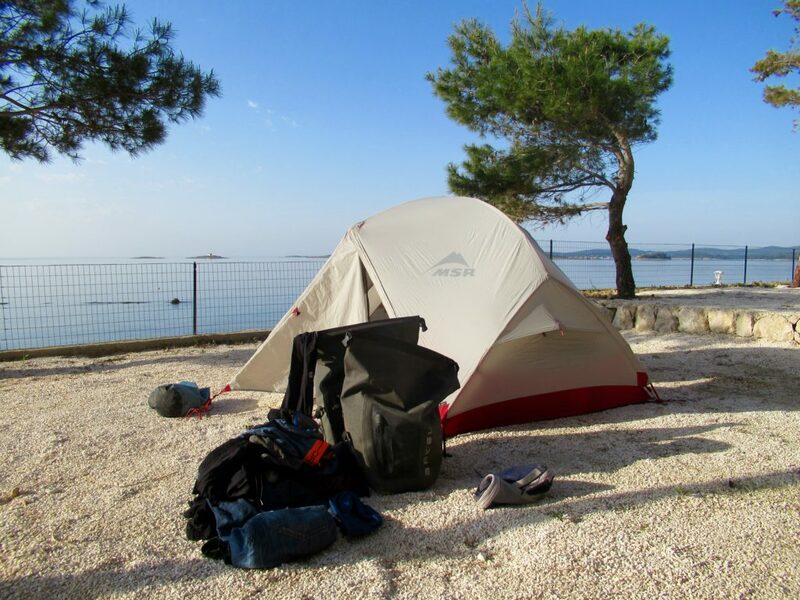 Camping in Croatia is an entirely different experience than in the rest of Europe, and especially in Canada. Forget campfires, picnic tables and tents. Croatian campsites are often full-blown resorts with pools, restaurants, grocery stores and room for hundreds of vacationers in camper vans and cabins. And at about 25 Euro a night for just pitching a tent, they don’t come cheap. But the views are spectacular. We camped our way through a couple of islands, starting with Korcula. The island’s namesake town shimmered in the Adriatic Sea, its sun drenched fortifications reminiscent of a smaller (and less touristy) Dubrovnik. Small inland villages and wineries provide plenty of opportunities for photo breaks. Thankfully, late April meant that only a trickle of visitors were on the roads, making for ideal cycle touring. Limited early season ferry departures meant that we couldn’t hop over to Hvar without connecting in Split. But Croatia’s second largest city is well worth a visit. Unlike Dubrovnik, which feels very much like a tourist theme park, Split’s historic core bustled with residents and travellers. Fish and fruit markets complement cafes and promenades around Diocletian’s Palace, a wondrous world heritage site. We had just enough time to see the main sights before a ferry the next day to the island of Hvar for three days of leisurely cycling. In the roughly 1500km we had pedaled from Athens, we had seen only a few dozen other cyclists. But Hvar was another story. 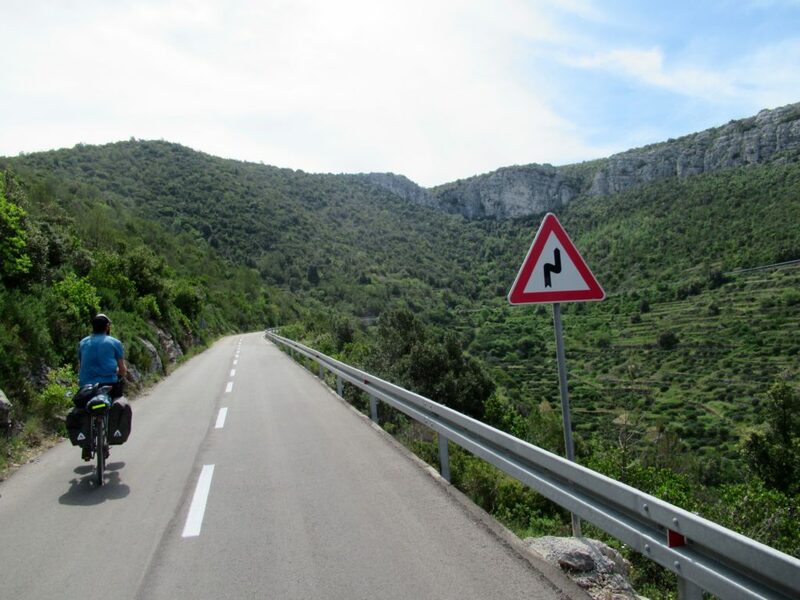 Guided tour groups on hybrids and e-bikes, day-trippers on mountain bikes, and road cyclists were a common sight around the plains of Stari Grad. No wonder. A variety of flat and quiet roads, gorgeous scenery, and centuries old towns are a great recipe for any bike ride. We explored the western part of the island, visiting the towns of Hvar, Vrboska, Dol and Jelsa, one of our favourite places on our entire trip. 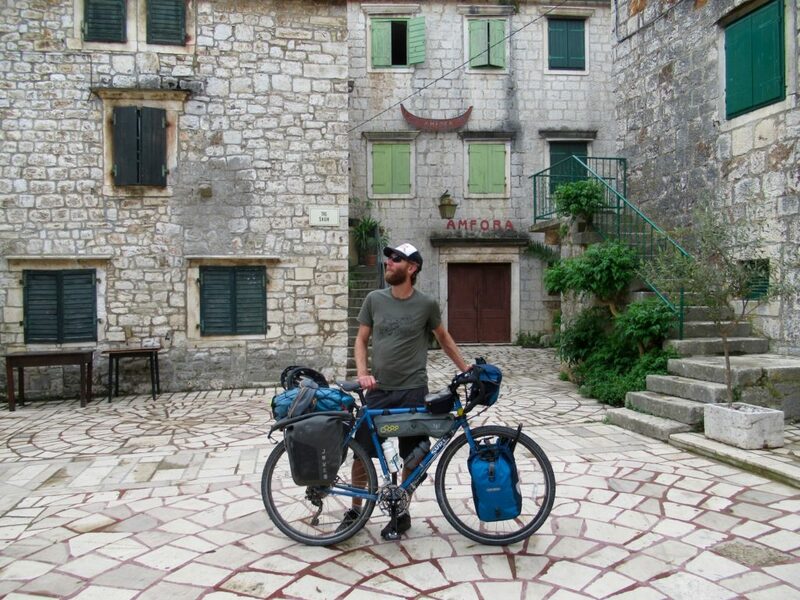 In many ways, cycling in the Dalmatian islands is comparable to cycling in the Kootenays. With more ferries than roads leading to Nelson, our “West Koot Loop” feels a bit like being on an inland island. Kootenay Lake is renowned for its long, warm summers and stunning waterfront views. Historic mountain towns and freshly grown local food add compelling character to the region. And our secluded location keeps the crowds to a minimum compared to the Rockies and the Okanagan. 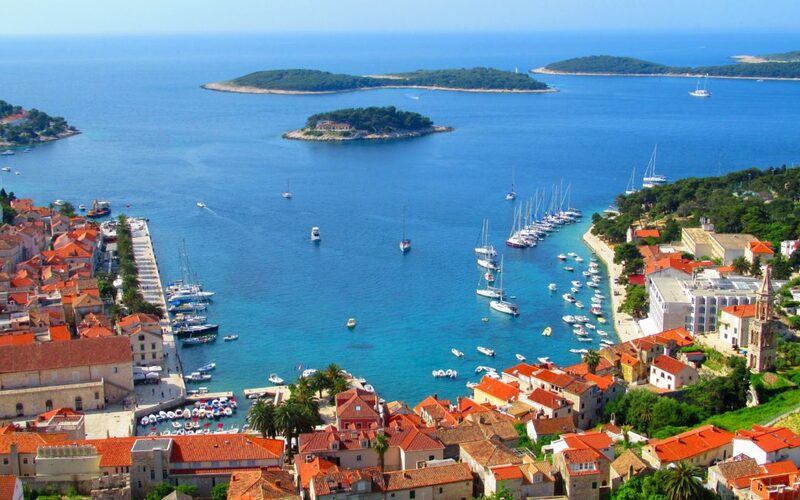 With their rolling hills, ancient vineyards and storybook towns, Hvar and Korcula are also reminiscent of Tuscany. Fitting then, that Italy’s most famous wine region would be our final segment of our early spring cycling tour.